The Anmaria Hotel is a modern and attractive looking building located in an enviable position. It is less than five minutes walk from the night life of Ayia Napa with bars and restaurants in the immediate vicinity. The hotel grounds open up onto the seafront pathway with direct access to a small sandy area and scenic rock pools. There are 132 rooms, 66 inland view and 66 sea view, all rooms have a tv, balcony, air conditioning, hairdryer, digital safety deposit box, mini fridge/minibar and a kettle. 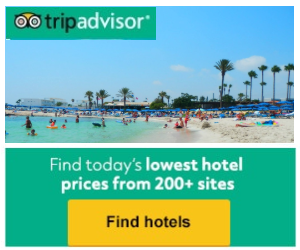 This is an ideal choice for those who want to be central in Ayia Napa but in nicer accommodation than the average town centre properties. 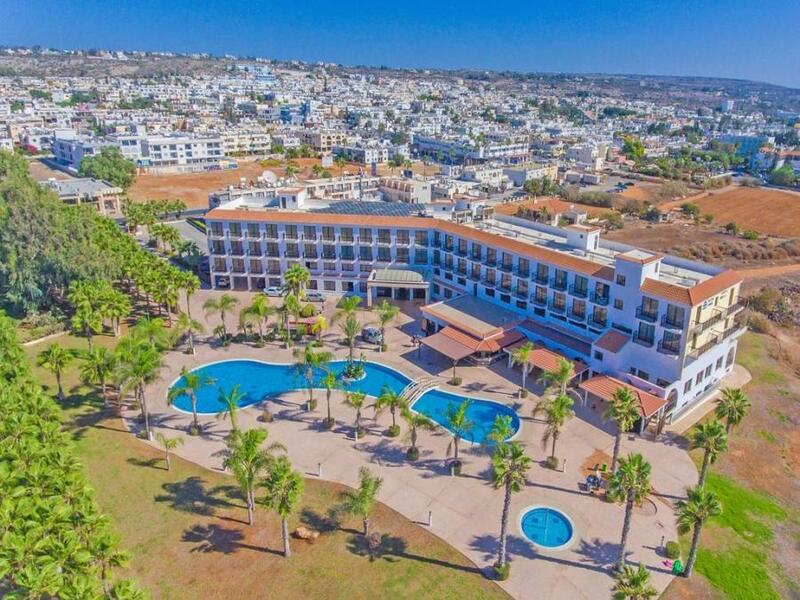 Well maintained and with a very attractive pool area, the Anmaria hotel is one of the nicest hotels in the centre of Ayia Napa and is an all round good choice for anyone wanting to be right by the sea and close to town.